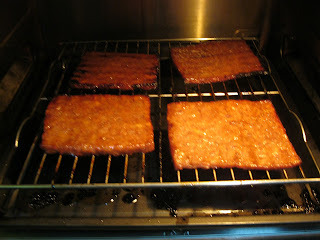 Grease a try sized 15"x15" with oil.Spread meat of no. (1) on top.Flatten well.sun-dry or smoke till dry. Cut no. 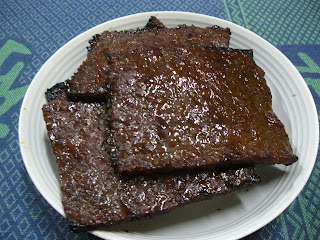 (2) into squares,grill over charcoal ambers till cooked ( can be grilled in an oven or panfried in wok ).